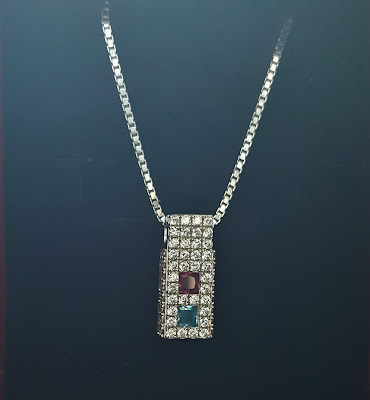 I was asked if I would like to review a piece of jewelry from Mama's Jewelry. 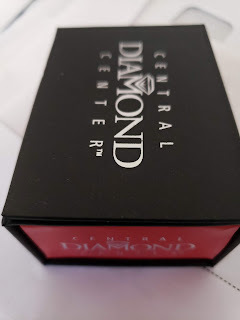 I did a review for them last year and absolutely loved the piece I reviewed. 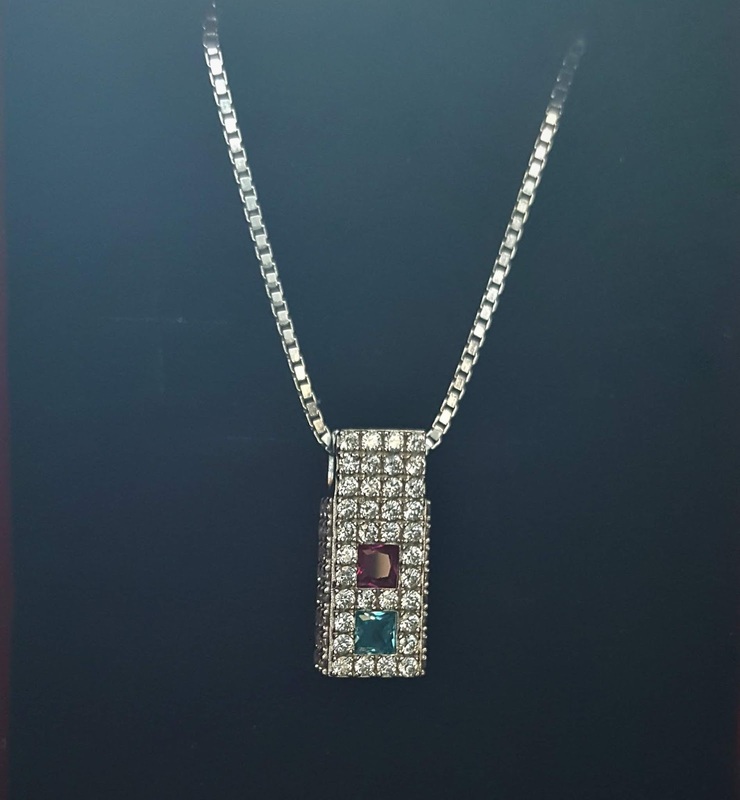 It was this beautiful MAMA Sterling Silver Princess Pendant with Side Swarovski Zirconia in Platinum Plated Silver with an imitation Ruby and an imitation Aquamarine stones Isn't it beautiful? Before I get to the product I was asked to review this year let me tell you a little about the company They are a family operated business who decided to open a business out of their passion for creating jewelry from gold, sterling silver, platinum, and diamonds. They believe so much into every piece they create they give their customers a lifetime warranty on any piece of jewelry they buy. That alone speaks volumes to me. If you're like me jewelry makes me extremely happy I love jewelry and it doesn't have to be expensive as long as it's pretty I love it. Mama's Jewelry gave me a $50 store credit to spend and I could use it on anything I wanted on their site. For me looking was half the fun they have so many cute items. 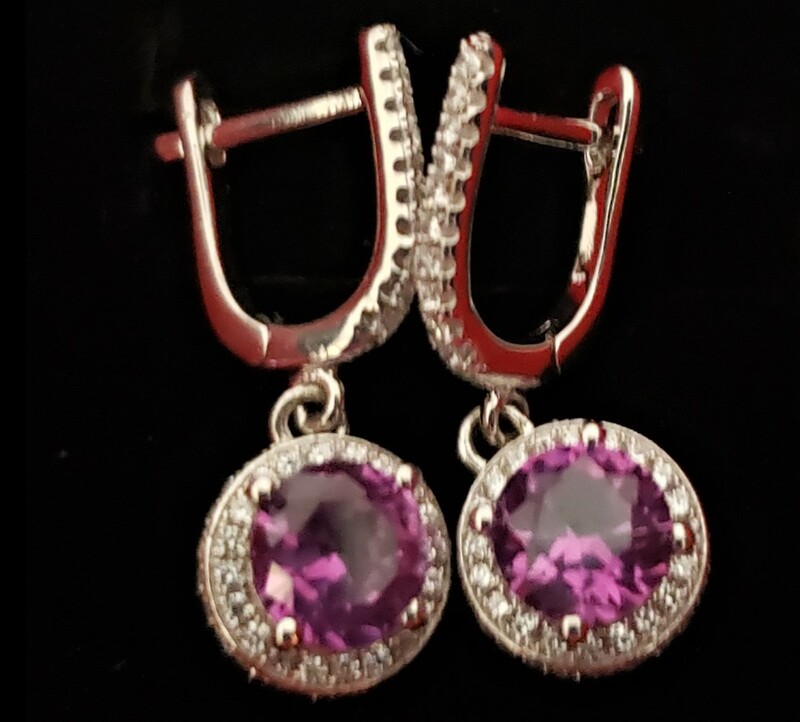 I finally settled on the NANA Sterling Silver Dangle Halo Earrings with 6.5mm Center Swarovski CZ & Simulated Birthstones. Ordering is so easy. 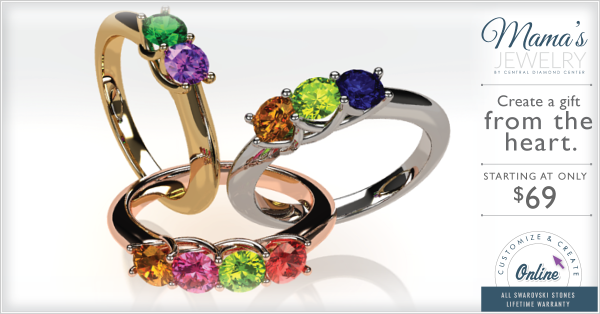 I picked out my birthstone, the metal and checked out. Easy peezy! I had the earrings in about a week. They arrived in a cute fold out gift box that makes gift giving easy. Look how cute are these? I will be honest this picture does not do these earrings justice. They are gorgeous!!! If your looking for some beautiful jewelry at great prices for yourself or someone else CLICK HERE to check out Mama's Jewelry!